Oh-oh, you say to yourself. It’s time to make a marketing plan for next year. Right? Well, maybe. Even well-intentioned people get stuck. They have no plan, they’re disorganized—even fearful. Once you get something in writing, you can begin to see the all the parts and how they fit together. You see the possibilities and steps needed to follow through. Know the difference between procrastination and destination. You’ll never reach the latter if you get stuck in the former. Delaying or ignoring a plan kills the results. You meet strangers at a networking meeting or you’re giving a presentation before a business audience. How well will they remember you? Many collect your business card, but never follow up. Being there is only the starting point. You need to build a longer-term awareness of who you are and how you can problem solve. What’s your plan to connect with people, some who have real potential as new clients? The most obvious solution is a memorable image—an important part of your arsenal of materials. At the very least, this includes attractive business cards and a professionally designed website. Both require skills you may not have, so you will need outside help to build a lasting impression. Never underestimate the damage done by skimping on these marketing materials. Many business people and entrepreneurs shun marketing as somehow sleazy and dishonest. Is this mindset really true? Of course not! Your services make a valuable contribution to someone else’s success. Failure to market them may actually harm those for whom you could do the most good. Sharing what you have to offer is accomplished through a well-planned and executed marketing plan that makes you shine. So get moving with your plan because 2019 is coming all too soon. P.S. To learn more about Nancy and how to plan for 2019, please give her a call at 414.771.8906 or email nancy@cavanaughinteractive.biz. Curiosity is a psychological phenomenon that can be used as a powerful magnet for your business. Curiosity is aroused when there is a gap between something a person knows and something s/he wants to know. Once they notice the gap, they start to feel a kind of deprivation. How do you use that gap to attract flocks of curious people to your business? You can provoke curiosity by supplying just a bit of information. Once a person learns a little, they naturally want to fill in the missing information so they can feel better. Consider your customers and target audiences. What attracted them to you? How did their curiosity draw them to your business? 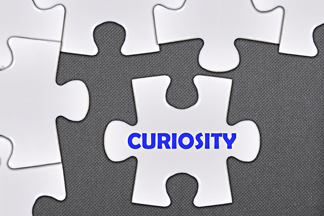 What topics can you use to arouse the curiosity of prospects? Your website About page. Many About pages are “ho-hum” resumes. A reaction like “I’ve got to meet this person!” should be the goal. You have a story to tell, which is a perfect opportunity to attract curiosity and attention. Never underestimate the power of a little mystery in telling that story. Blog articles. For any business, blog articles serve many purposes—to inform, announce, and opine. Try a different approach. Pick a topic, but just sketch it out. Don’t reveal all. Build interest and curiosity to learn more. Social media posts. Here’s your chance to really shine, because your connections/followers are already familiar with your profile on sites like LinkedIn and Facebook. Focus on topics related to your expertise, offering just a “taste” to your readers. It can include your idea for a solution or your own unique point of view. That approach “pulls” curious people toward you, rather than “pushing” information in their direction. See the difference? Boy, did that strike a nerve! Almost 38% of the recipients opened that email. And for those people, I followed up with a second email, “We saw you peeked.” That one was opened by a whopping 71%! According to Mail Chimp, a standard email open rate is about 20%. So my email campaign about website redesign was double the normal rate and the follow-up email was 3.5 times greater than normal! Wouldn’t you like the same crazy good results for your next email campaign? The purpose of my original email was to remind business people about the importance of keeping their web presence up to date, and how I can help. I listed seven warning signs that point to an aging website. Web redesign is a hot topic right now and thought I could really connect with those concerned about the age of their website. Little did I know just how interested they really were! The open rate told me so! Step 1. I monitored the list of people who opened the email using Act-On marketing automation software. I watched some recipients track through my website and checked to see whether mobile-responsive devices were used. I saw the pages visited, learning specific areas of interest. Step 2. I followed up with phone calls to those clients I knew had older websites. In just a couple of hours, I closed several thousand dollars in sales. Step 3. Rinse and repeat: I subdivided my email list, selecting only those people who had opened the first email. Then I tailored a second email to encourage contact with me. Step 4. I followed up again on “opens” from the second email. Each time I called someone, I discovered they were already receptive to a redesign and willing to discuss. Again, I quickly closed sales for website updates—some of them older than six years! 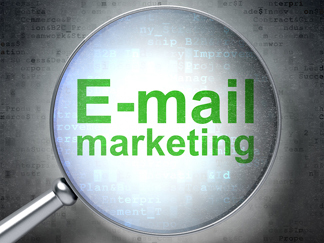 Email marketing is a wildly popular tool for reaching prospects and customers. It keeps your business in front of them, confirms your authority as an influencer in your field, helps attracts inquiries, and closes sales faster. The cost is low; the benefits are lasting and substantial. — Qualified leads increase by 451% by using marketing automation to nurture clients. — Vital information can be captured about which recipients are visiting your website, how they got there, and what they’re viewing. — Sales cycle times are reduced by up to 70% by using marketing automation to nurture sales. Business owners recognize the value of email campaigns. They ask me all the time about email marketing. And guess what? I have experience with both Mail Chimp and Constant Contact—not to mention list building and maintenance. For those of you looking for the kind of crazy good results I got, it’s time to talk about how we can strategize and manage your online marketing through automation. 1. Understand your audience. Successful marketers connect with their customers. They know the kind of content that instantly engages their desired audience. They also make sure that content is edited for grammar and spell checked. Poor delivery costs credibility. 2. Be concise. Break up articles into short, easy-to-read paragraphs. Show lists using bullet points. People are used to skimming content, and long blocks of text cause loss of interest. Break up text by interspersing relevant images every few paragraphs. 3. Use mixed media. High-quality articles aren’t your only option; keep your audience engaged by using videos, slideshows, and photos to add variety to your messages. 4. Keep it coming. An interested reader naturally wants more. Plan ahead and offer the opportunity to read a whitepaper, sign up for more, give feedback or share what they’ve learned. 5. Provide value—not a sales pitch. Much of the value you can offer is centered around educating by delivering high-value content. Your top priority is your reader—not SEO that doesn’t offer immediate value for a reader. Before you begin to write, ask yourself what’s in it for your audience and how you can engage them and capture their loyalty. Need more ideas about how to make your content compelling? Call (414) 771-8906 for a one-on-one consultation or fill out the form on the right and send it in with your message. Is your website a hub of activity? Some business leaders are old enough to remember how marketing used to be done before the web. Traditional media like print, TV, and radio were considered as prime communications channels to “push” your marketing messages. But there has been a paradigm shift to online frontiers—where the audience is now. And having a “static” website (also known as “brochureware”) won’t get results anymore because visitors expect state-of-the-art technology. They want to gather information, blog, communicate, shop and buy. And they want it to be fast, simple—a no-brainer because their time is very limited. So, your website has to do more “heavy lifting” to satisfy prospects and customers. Think of your site as a hub of activity. It serves as the fulcrum of your marketing efforts, with other activities extending around it that tie in. Many times in consulting with a business about online marketing, I start by simply drawing a circle and labeling it “website.” Then I ask about how they want to build their brand and drive sales; i.e., through what other channels. Then I draw a spoke for each channel and discuss: 1) how the website can facilitate that link, and 2) what can be done to drive visitors to the website via that particular channel? For example, say that you operate a manufacturing business that offers a unique product for eco-friendly laundry detergent. You also have a Facebook page where you want to educate people about your product and encourage sales. To “pull” fans to your website, use brief posts summarizing the nature and value of your product. At the end of each post, add a link to the website blog that contains more detailed information. Providing knowledge helps prospects make that decision to buy. Likewise, a video is worth a thousand words. It should be short and sweet. It should encourage and explain. It’s also another spoke in the wheel of influence centered around your website. Not to be forgotten is search engine optimization (SEO), the all-important hidden element that can drive people searching for your specific product to your website. It’s no longer an option for web marketing. And if your customer base is local, it’s critical they find you. Did you know that according to Google, more than 50 percent of searches are for local businesses? Missing out on this opportunity is huge. 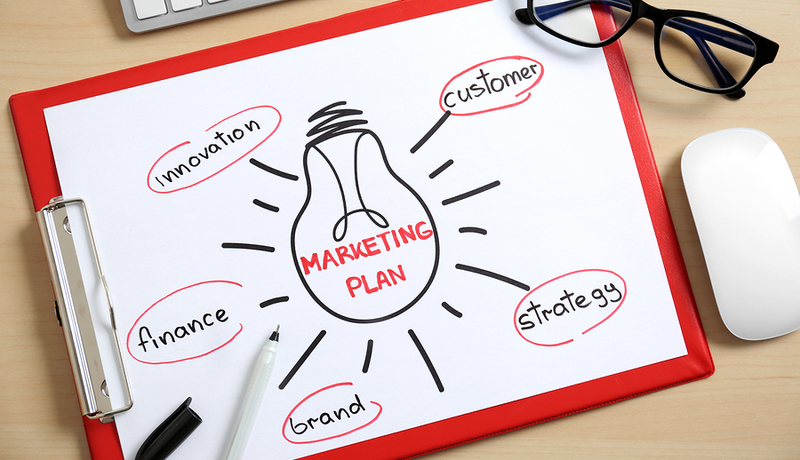 So as you begin to think about formulating a marketing plan with your website as its hub of activity, just draw it out the old-fashioned way with pencil and paper (or even on a table napkin!). You’ll be surprised how a little brainstorming on paper will get the creative marketing juices flowing. Using your website as the hub for your marketing efforts demonstrates a paradigm shift from traditional print / TV / radio marketing to newfound digital frontiers online.